To ensure optimal performance, it is important that you clean it at least once per week. Remove the ear tip from the ear tube, then remove the ear tube from the device. To clean the ear tube, thread the cleaning wire through the ear tube starting at the device end until it comes out at the ear tip end. Then, pull the wire all the way back through the tube. 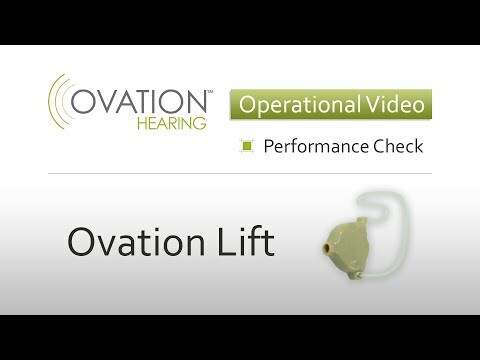 Learn troubleshooting tips for your Ovation Lift hearing aid.